VANCOUVER, British Columbia, Oct. 10, 2017, NAN, WSCRF, (GLOBE NEWSWIRE) — North American Nickel Inc. (TSX VENTURE:NAN) (OTCBB:WSCRF) (CUSIP:65704T 108) (the “Company“) is pleased to report that first assays have been received from the 2017 drilling program at the Company’s 100% owned Maniitsoq nickel-copper-cobalt-PGM project in Southwest Greenland. Two holes totalling 1,169 metres were completed at the Mikissoq target which is located in the central portion of the Greenland Norite Belt (Figure 1). This release summarizes results received for hole MQ‑17‑135, from surface to a down hole depth of 495 metres. Drill collar information and a summary of assays are provided in Tables 1 and 2, respectively. A drill plan and drill cross section are given in Figures 2 and 3, respectively. Figures may be viewed using the link provided with this release. The Company is pleased to report that processing of numerous sample batches is now in progress. Reporting of assay results from holes completed at the Spotty Hill, P-013SE and P-058 mineralized zones is expected to occur at regular intervals over the coming weeks. Further details of drilling completed at Mikissoq are given below. In 2016, a new nickel-copper sulphide zone was discovered at Mikissoq while drill testing a borehole electromagnetic (BHEM) anomaly located below shallow zones of mineralization. This zone was intersected by three drill holes over a dip extent of 105 metres and consisted of coarse grained magmatic disseminations and blebs, locally with remobilized sulphide stringers and veins (see News Release dated October 31, 2016). 416.35 – 435.60m: 1.89% nickel and 0.26% copper over 19.25 metres incl. The mineralization is characterized by high nickel tenors (percent nickel re-calculated to 100% sulphides) of typically between 8 and 11%, as evidenced by a sample of a near massive sulphide vein that assayed 9.55% nickel and 0.80% copper over 0.30 metres from 425.90 to 426.20 metres. This sample also contained elevated cobalt and Pt+Pd+Au values of 0.24% and 0.61 g/t, respectively. A wide mylonite zone was intersected a short distance below the mineralized zone from 437.80 to 456.50 metres. The mylonite zone is interpreted to be shallowly dipping and have a reverse sense of movement with the SE block “up” based on oriented structural data collected from a downhole Televiewer survey. This interpretation led to a decision to extend the hole with the possibility of intersecting a second faulted extension of the zone. The hole extension (495 to 783 metres) did not intersect a second sulphide zone but did encounter several norite intervals at depth, locally containing trace amounts of sulphides. A second hole, MQ-17-139, was collared to test for the zone approximately 50 metres along strike to the southwest of hole MQ-16-117 and intersected a wide zone of norite, locally containing weakly disseminated and blebby sulphides. Assays for samples from the extension of MQ-17-135 and from MQ‑17-139 are pending. The lower Mikissoq zone has been intersected over a dip extent of 165 metres, dips sub-vertically and is interpreted to have a pipe-like geometry. BHEM results from MQ-17-135 are dominated by in-hole responses correlating with the more highly sulphidic upper and lower portions of the zone and by a stronger off-hole response located up plunge in the direction of previous drilling. These results do not preclude the continuation of less conductive disseminated and blebby magmatic sulphides in a down dip direction. A possible off-set along the shallowly dipping mylonite zone is yet to be determined. The drilling was completed by Cabo Drilling Corp utilizing two Atlas Copco S2 diamond drill rigs. Drill core samples (36.5 mm BQ and 47.6 mm NQ) are cut in half by a diamond saw on site. Half of the core is retained for reference purposes. Samples are generally 1.0 to 1.5 metre intervals or less at the discretion of the site geologists. Sample preparation is completed at the GeoLAB Greenland ApS preparation lab in Nuuk, Greenland. Sample pulps are sent by air to the MS Analytical laboratory in Langley, BC, Canada. Blank samples and commercially prepared and certified Ni sulphide analytical control standards with a range of grades are inserted in every batch of 20 samples or a minimum of one per sample batch. Analyses for Ni, Cu and Co are completed using a sodium peroxide fusion preparation and ICP-ES finish (PER-700). Analyses for Pt, Pd, and Au are by fire assay (30 grams nominal sample weight) with an ICP-AES finish (FAS-113). The Company is not aware of any legal, political, environmental or other risks that could materially affect the potential development of the project other than those set out in its annual information form filed on www.sedar.com. Please see below under the heading “Cautionary Note Regarding Forward-looking Statements” for further details regarding risks facing the Company. 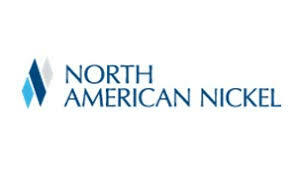 All technical information in this release has been reviewed and approved by Patricia Tirschmann, P.Geo, who is the Qualified Person for the Company and Vice President Exploration, North American Nickel Inc. The Maniitsoq property in Greenland is a Camp scale project comprising 2,985 square km covering numerous high-grade nickel-copper sulphide occurrences associated with norite and other mafic-ultramafic intrusions of the Greenland Norite Belt (GNB). The >75km-long belt is situated along, and near, the southwest coast of Greenland accessible from the existing Seqi deep water port with an all year round shipping season and abundant hydro-electric potential. 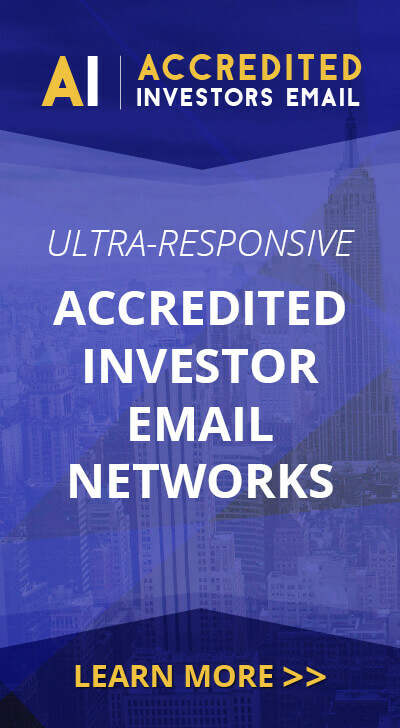 This press release contains certain “forward-looking statements” and “forward-looking information” under applicable securities laws concerning the business, operations and financial performance and condition of the Company. Forward-looking statements and forward-looking information include, but are not limited to, statements with respect to the success of exploration activities; impact of mineralogy, estimation of mineral resources at mineral projects of the Company; the future economics of minerals including nickel and copper; synergies and financial impact facilities; the benefits of the development potential of the properties of the Company and currency exchange rate fluctuations. Except for statements of historical fact relating to the Company, certain information contained herein constitutes forward-looking statements. Forward-looking statements are frequently characterized by words such as “plan,” “expect,” “project,” “intend,” “believe,” “anticipate”, “estimate” and other similar words, or statements that certain events or conditions “may” or “will” occur. Forward-looking statements are based on the opinions and estimates of management at the date the statements are made, and are based on a number of assumptions and subject to a variety of risks and uncertainties and other factors that could cause actual events or results to differ materially from those projected in the forward-looking statements. Many of these assumptions are based on factors and events that are not within the control of the Company and there is no assurance they will prove to be correct. Factors that could cause actual results to vary materially from results anticipated by such forward-looking statements include variations in metal grades, changes in market conditions, variations in recovery rates, risks relating to international operations, fluctuating metal prices and currency exchange rates, and other risks of the mining industry, including but not limited to the failure of plant, equipment or processes to operate as anticipated. The Company cautions that the foregoing list of important factors is not exhaustive. Investors and others who base themselves on forward-looking statements should carefully consider the above factors as well as the uncertainties they represent and the risk they entail. The Company believes that the expectations reflected in those forward-looking statements are reasonable, but no assurance can be given that these expectations will prove to be correct and such forward-looking statements included in this press release should not be unduly relied upon. These statements speak only as of the date of this press release. The Company undertakes no obligation to update forward-looking statements if circumstances or management’s estimates or opinions should change except as required by applicable securities laws.